Applying for the CPA exam takes a lot more than just filling out an application. In fact, you must satisfy a few conditions before you can even complete the application. The entire process is about timing. One wrong turn and you may have to start over from scratch. If you've heard the CPA exam application process is complicated, you heard right. You must check off the box for each step and in a timely manner. One slip-up and you may find yourself paying the same fees over again because you missed a deadline. Worse yet, if you skip a step, you could wind up with a declined application, which could set you back months. 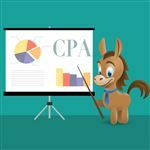 Each state does have its nuances pertaining to the CPA application process, but overall you'll go through the same process no matter where you live. Keep reading to see how you can successfully navigate the CPA application process. Before you even fill out the CPA application process, you have to take two important steps. The first is to make sure you meet the state's requirements. Each state has different licensing requirements that you must meet. Once you know you meet the requirements, you'll need to send your transcripts to your state board. CPA exam applicants usually have to fulfill certain education and work experience requirements. Typically, you need at least a bachelor's degree in an accounting-related field with a specific number of credit hours in accounting courses. 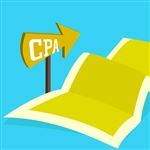 Make sure you know your state board's requirements before submitting your CPA exam application, as it does cost money. If you know you've met the education requirements, you'll need to send a copy of every transcript to your state board. This doesn't mean just your transcripts from your most recent college. If you were a transfer student from a community college, you'll need those transcripts as well. If you transferred colleges three times, you'll need transcripts from all three schools. Even if you took one course at a local college, you'll need the transcript for that course. If you want to streamline the process a little bit, you can send your transcripts to your state board upon completion of your education. Your transcripts don't expire. The state board will hold onto them until they receive your application. This way, you can minimize the time you must wait for the board to approve your transcripts when you send in your application. Remember, it's better to get your transcripts in before your application, not vice versa. Once you satisfy your education requirements and send the proof into your state board, you can complete the CPA exam application. It's not tedious or overwhelming, but it does require a fee (of course). Each state has a different fee, but expect between $100 - $200, to be on the safe side. Make Sure You Apply in the State You Want to Practice. Each state has its own licensing requirements. You should take the CPA exam in the state that you plan to work. You can only apply for the exam in one state at a time, so plan accordingly. 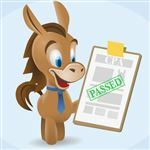 You'll know that your state board approved your application when you receive your Authorization to Test, or ATT. Note: this isn't your approval to take the test quite yet. Rather, it's your approval to get approval to sign up for the exam. Seems a bit tedious, doesn't it? Don't skip this step though, or you'll find yourself back at step one. The ATT is only good for 90 days. In other words, you must choose the exam sections you will take in the next six months and pay for them within 90 days. You do this in your NASBA account. Don't Sign Up for All Sections at Once. While you may be excited to get to the point that you can take the CPA exam, don't over-schedule yourself. At the most, you should sign up for two sections of the exam with your first ATT. Remember, you only have 90 days to schedule those tests. From there, you only have 6 months to take and pass the chosen section. While it may seem like a nuisance, going back through the application process will be cheaper and less frustrating. Once you pay for the appropriate sections of the test, you'll receive your Notice to Schedule either online or via snail mail. If you have to wait for the document in the mail, you may wait approximately four weeks. You need this document to sit for the exam, so don't lose it. This is the document that is only valid for six months in a majority of states. Some states, such as California and Louisiana, give 9 months, and the lucky residents of North/South Dakota and Virginia get 12 months to take the exams. Once you have your NTS, it's finally time to schedule your exam(s). My advice to someone who is planning on taking the CPA exam is to get into a routine. This is a marathon not a sprint—you'll need to have a set time every day for hiding yourself from all distractions and focusing on studying. Schedule your test a few months in advance so that you'll have a deadline to keep yourself accountable. In order to schedule your CPA exam, you'll head to the Prometric website. You'll need your NTS to complete this step, as they will ask for your exam section ID when you register. You Can Choose Your Testing Location. When you log into the Prometric website, you'll see many options for your testing location. Make sure you choose the one that is the most comfortable for you. Some locations are smaller than others, and, naturally, some are closer to your home than others. Try to keep your drive as short as possible, as you'll likely be nervous on the test day; the last thing you want is to feel rushed or to be late. You should schedule your exam about a month in advance. Don't schedule it too far in advance because Prometric does charge rescheduling fees (the full price of the exam if you are 5 days or less out). You've already paid numerous fees to take the exam—why pay any more than necessary? Don't Wait to Start Studying. Even though the CPA application process is lengthy, you shouldn't wait until you have your NTS to start studying. Each section requires an estimated 80 - 100 hours of studying. If you wait until you have your NTS, it might expire before you are even ready to sit for the exam. Start your studies early and work the application process in when you are comfortable. The final step is to take the exam! Remember, allow yourself plenty of time to get to the testing location without feeling rushed. You'll need your NTS and two forms of identification to sit for the exam. They will not allow you to sit for the exam without these items, so don't forget them. It's a good idea to get to the testing center early so that you have plenty of time to get in and get settled. If you are lucky enough to pass the section the first time, you'll have a total of 18 months to pass the remaining sections. Again, if more than six months pass, though, you'll have to start the application process over again. Most states do have a lower reapplication fee for those taking additional sections of the exam, though. The CPA application process is lengthy and it can be confusing. Make sure you know your state's requirements before you pay any money. Studying early is always a plus, but applying for the exam too early could leave you paying too much out of pocket just to get your license. It's all about perfecting your study habits, timing, and test-taking skills to make it work. Leave a comment about CPA Exam Application Process: What to Expect? Share on Facebook "CPA Exam Application Process: What to Expect"